A few weeks ago, on Halloween, while you were probably dressed up as Donald Trump or a banana, I was completely ignoring the holiday. 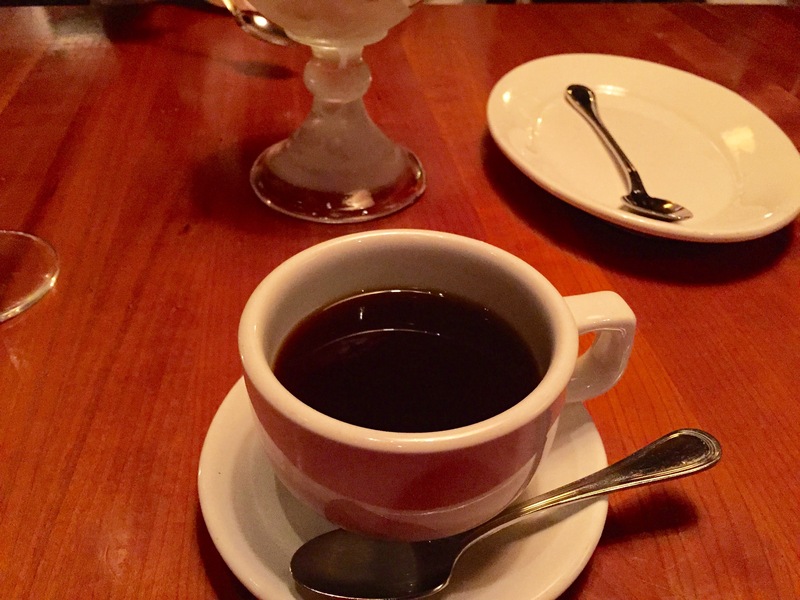 Instead, I was enjoying a cozy glass of wine and fancy dinner at Third & Hollywood with my dearest Ash! The owners of Northstar Cafe, where I work, also own (in addition to their/our newest concept, Brassica) a higher-end full-service restaurant called Third & Hollywood, strangely enough on the corner of Third Ave. and Hollywood Pl. in Grandview. 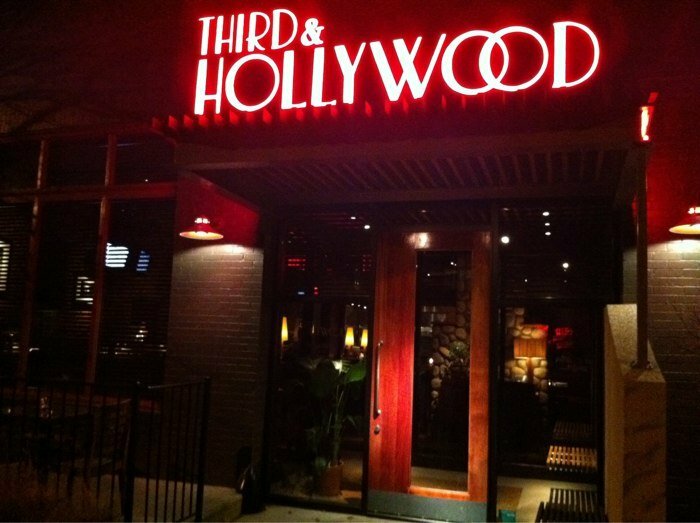 Third & Hollywood opened in 2009, and since its opening I’ve only dined there a handful of times, largely due to its higher price point. 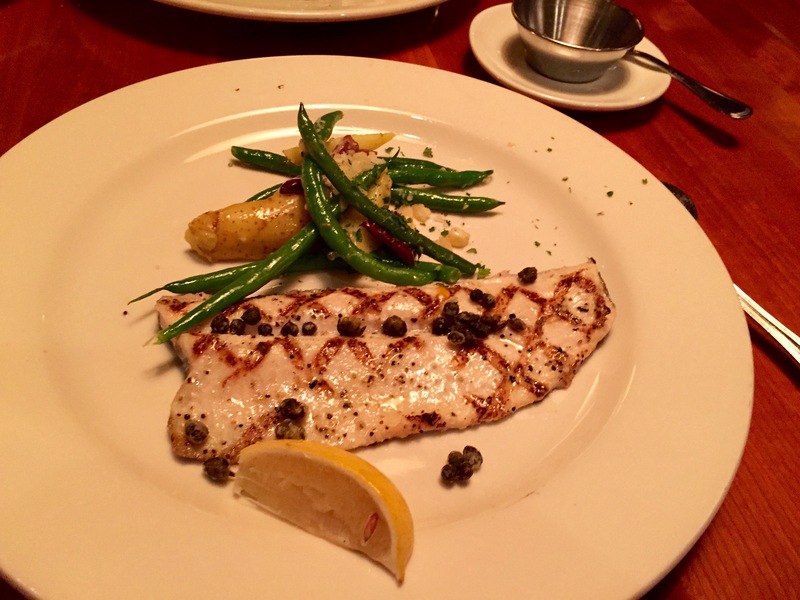 Don’t get me wrong – it’s excellent upscale American fare – but just a bit on the pricey side for me to frequent on a regular basis. But here’s the good news: I don’t have to pay to dine at Third & Hollywood anymore! 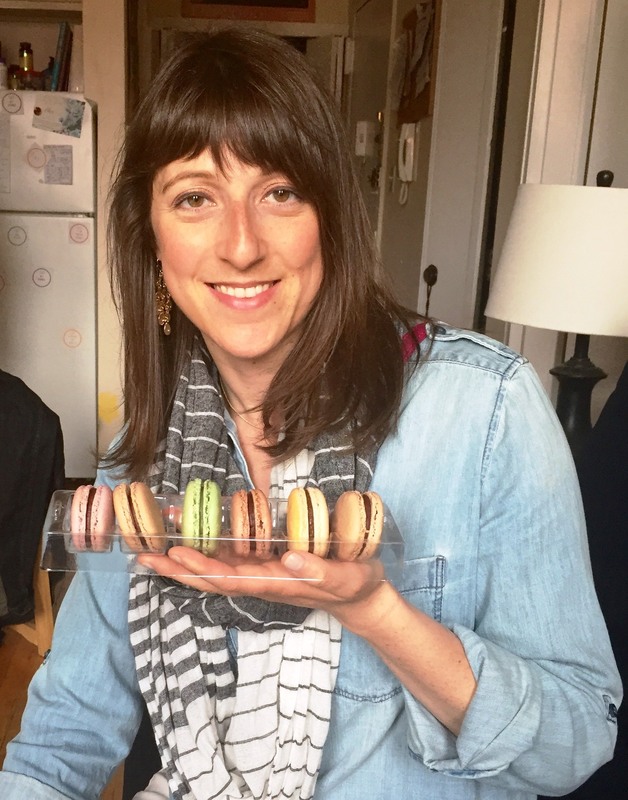 One of the major perks of working at Northstar is the generosity of the executive team. Each Partner (our term for manager, since most of us are part-owners of the company) is given a Partner Account containing money every three months. This money is in addition to our shift meals, and is designed to be used on carryout food from Northstar, enjoying meals at Northstar with our family and friends, and dining at Third & Hollywood (referred to as Third by employees) – a real treat. I won’t get specific with how much money we are given, but suffice it to say it’s hard to actually spend it all! Enter my hot date with Ashley. I realized a month or so into my training that my partner account wouldn’t spend itself, and that I should start taking advantage of it! The account pays for food and drink but no alcohol or tip – still, not too shabby. That particular day was a busy one at work, and I was there a couple of hours past my shift having eaten nothing more than a smoothie since my bowl of oatmeal at 6 AM. Needless to say, I was STARVING, and ready to eat the entire menu! At least three courses of it. 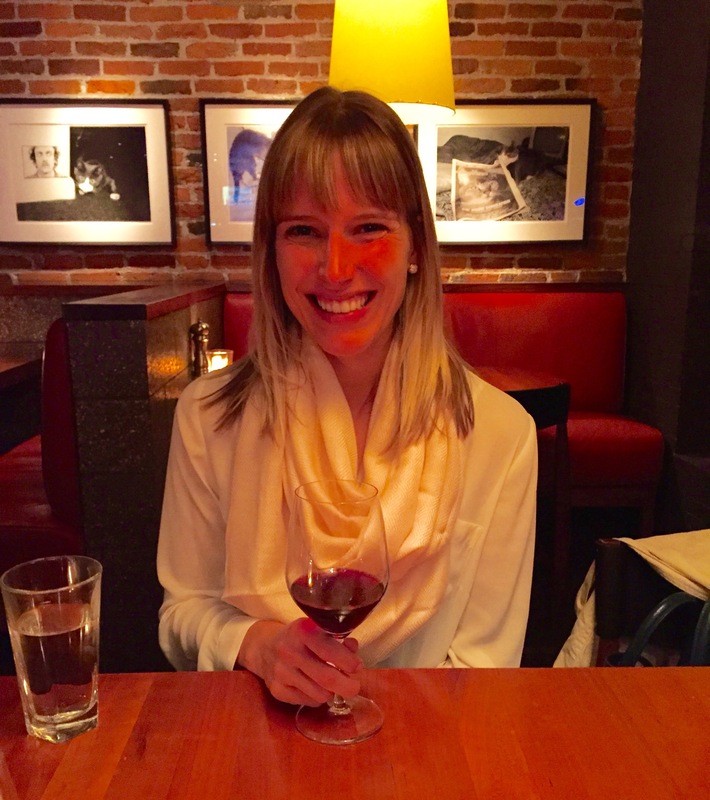 While we were waiting for our table, Ash and I each enjoyed a glass of juicy cabernet, both of our favorites. 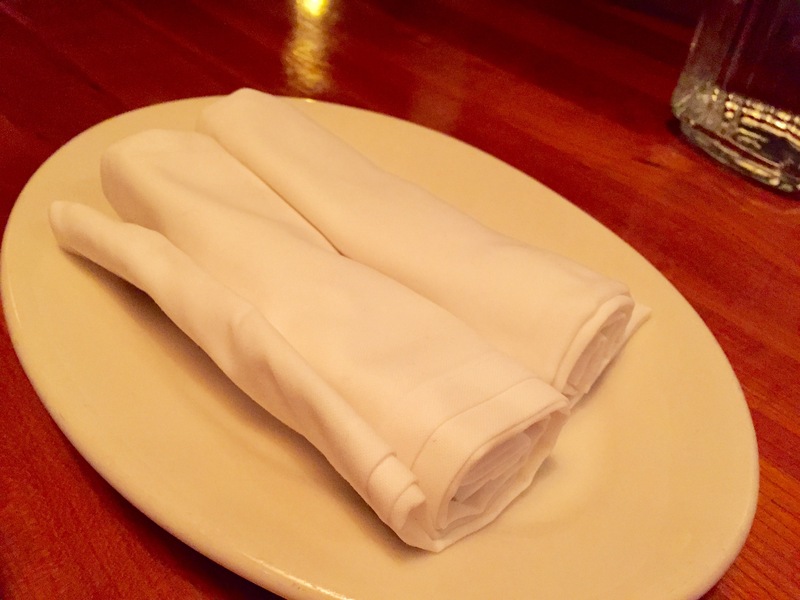 We were seated at a roomy, private table towards the front of the restaurant. One of the things I love most about Third is the warm, cozy atmosphere. 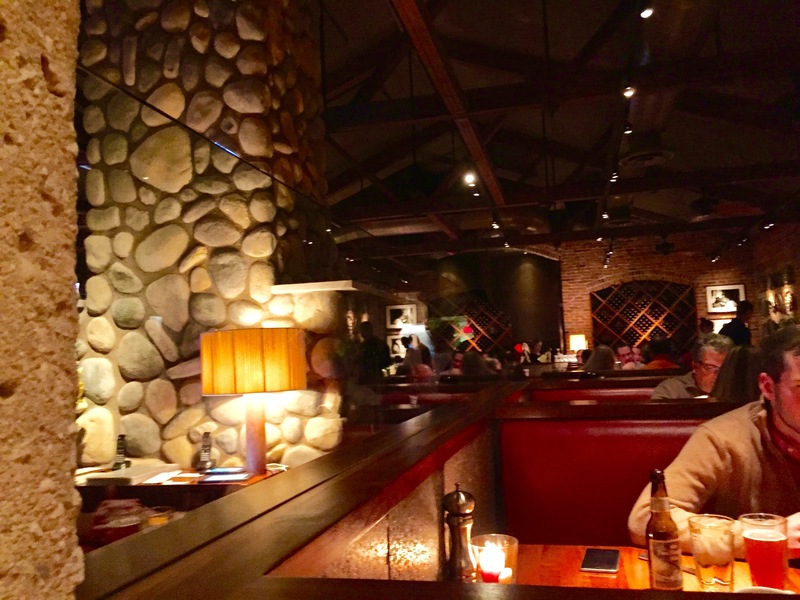 It’s dark but still warm, with a fireplace, comfortable booths, and lots of exposed brick. A perfect “winter” place to enjoy a drink at the bar! After perusing the menu (with no regard to price! ), we settled on sharing a bunch of items. We started with the housemate ricotta and toast. 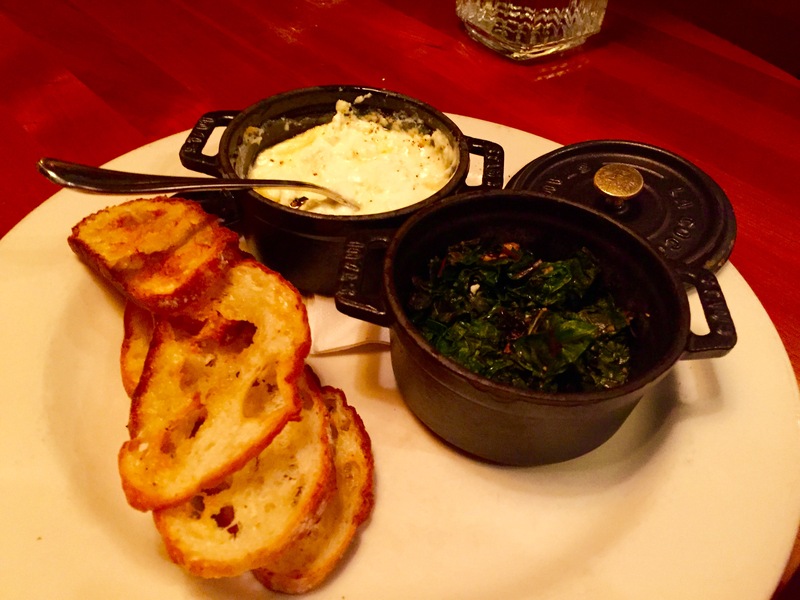 The ricotta is made in-house and is sooo good, especially with the garlicky greens. Plus, how adorable are these mini cast iron pots?! We also shared the grilled artichoke starter, which is twice the amount of what is shown here (forgot to take a photo until we had already dived in!). I grew up eating whole artichokes (#foodiehousehold), but we always enjoyed them steamed. Grilling them is a new experience for me, and a very tasty one at that! 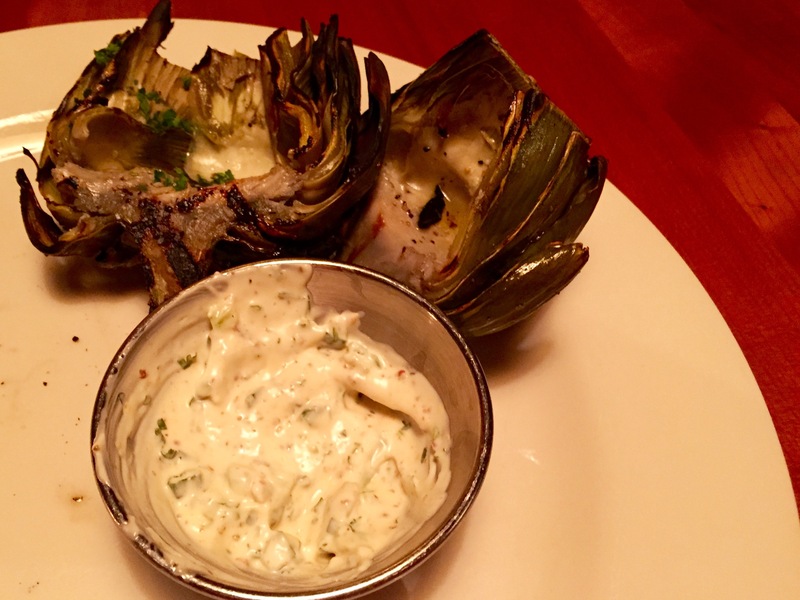 The grill adds another layer of depth to the flavor of the artichoke, and the remoulade they are served with is excellent. Next up: this AMAZING kale caesar salad, easy my favorite dish of the evening. 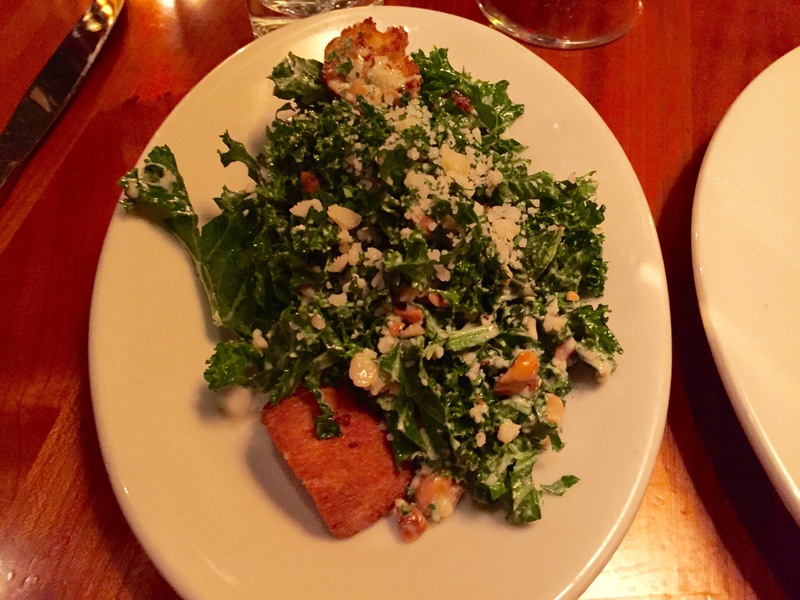 Now, before you say, “kale, again…really? !”, let me preface this by saying that I am normally not a huge kale fan. I tend to think it’s way overdone and just a fad. That being said, this kale caesar was to die for! It was dressed perfectly and the toasty hazelnuts were a nice change from your typical nuts, and the cheese melted with the warm croutons just every so slightly. I need to go back stat just to enjoy this salad again! And for our main course, Ash and I spilt the rainbow trout with fried capers. This is just a half-portion (same with the kale salad); it was so nice that they spilt the dishes onto two plates (something we also do at Northstar, just ask!). It was the perfect amount of food, and the fried capers were a nice crispy, salty touch. We also shared a second glass of wine, which they also brought to us in two glasses. Classy! You didn’t think Ash and I could go to dinner, let alone a free dinner, and not get dessert, right?! We both have major sweet tooths (teeth?) and a weakness for ice cream served over warm baked goods. 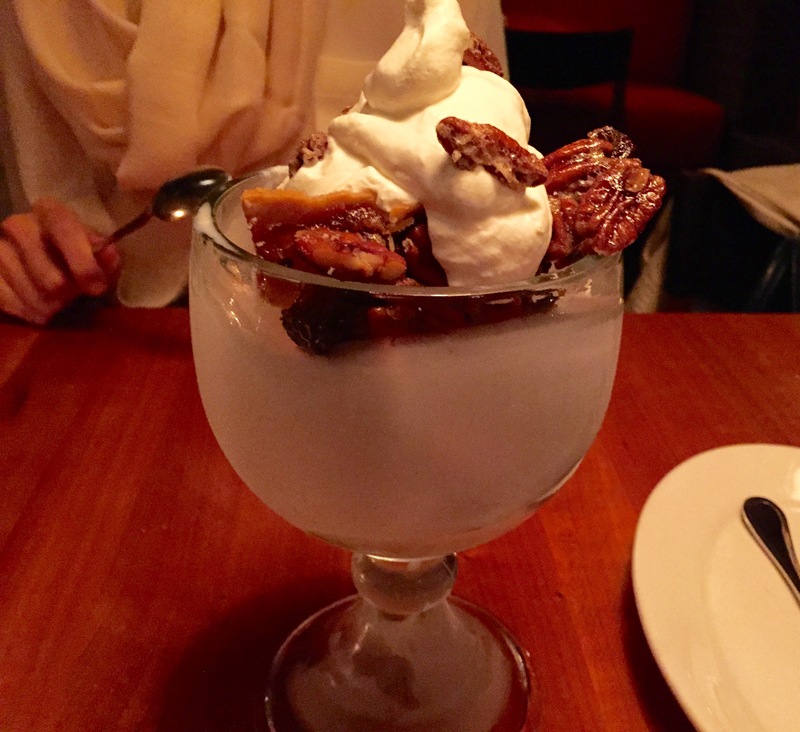 Enter this chocolate pecan pie sundae. Um, yes, please? No surprise, we ate every last bite, enjoyed with a cup of decaf coffee because we are in our 30s now.